Dec 09, 2017 Sue C.
I've known Sam for many years, when he first entered the auto care/repair industry as a business venture. He always displayed an amazing work ethic, personal integrity in honesty and sincerity, and would constantly strive to give his best effort in the work place. And today, the exceptional quality and extremely high standards of professionalism that Sam and his team deliver on a daily basis, are what set Top Lube Center apart from all other auto centers. The entire staff is friendly and polite, and the environment is always clean. Although I live quite far from the Commerce/Walled Lake area, and soon will be moving farther, there is not one speck of doubt that I will be traveling back to get my regular maintenance and all repairs taken care of by such a conscientious team of experts. Thank you Sam, for always making your customers feel special! Aug 12, 2017 Kristine G.
They were extremely honest and thorough. I referred family members to come here as well. I will always come here. Jul 15, 2017 Minda . Had my oil changed today at Top Lube! Was there because the owner Sam so generously offered his business space for us to do a fundraising carwash for our high school poms group. The servicemen were ridiculously thorough and very helpful as was Sam himself! I was told that if my car needed service beyond oil changes in the future that all diagnostics would be free and that I can earn free oil changes with repeat business!! I will definately be using this business for all my future needs!! Thanks Sam!! 💛💙💛💙Walled Lake Central Varsity Poms!! Apr 12, 2017 Linda R.
The Commerce Twp. Top Lube Center was the best service I have ever received at a quick oil change. They changed the oil in my sons car, and took the time to explain the different oils and how to take good care of the engine. I will recommend Top Lube to family and friends. Great to do business with Top Lube Center of Commerce Twp ! Jan 01, 2017 Michael S.
Great place to go for car service. guys are always pleasant & conscientious of getting it right. Sam is running a top notch business over there. Dec 22, 2016 Teri S.
Friendly quality service at a reasonable price! Top Lube Center is consistent in excellent service while keeping prices fair. The staff goes above and beyond and are very welcoming and personal. They discuss in detail, and in layman's term's, services needed and ones that can wait. I rely on Top Lube Center to maintain my vehicles regularly. The service is performed promptly and correctly the first time. I have been a satisfied customer since Top Lube Center opened in 2012 and highly recommend them. I give them 5 stars! Dec 18, 2016 Teri S.
Friendly quality service at a reasonable price! Top Lube Center is consistent in excellent service while keeping prices fair. The staff goes above and beyond and are very welcoming and personal. They discuss in detail and layman's term's services needed and ones that can wait. I rely on Top Lube Center to maintain my vehicles regularly. The service is performed promptly and correctly the first time. I have been a satisfied customer since Top Lube Center opened in 2012 and highly recommend them. I give them five stars! Dec 10, 2016 Keith K.
Started going to the Top Lube Center when I started driving for Uber using my 2008 Toyota Rav 4 that had 28,000 miles on it, it now has 157,117 miles on it and runs great. I can honestly say that the guys at Top Lube are the reason why my vehicle is running at top efficiency. Its hard to find a car service center you can totally trust and when going to The Top Lube Center I found it. Jun 19, 2016 Jim P.
Knowledgeable, efficient, accommodating, honest and fairly priced. A found treasure in the auto repair industry. 3 trips there have won my allegiance. HIGHLY recommended. Thank you for being there! May 11, 2016 Suzanne H.
I have gone to Top Lube Center in Commerce several times and have had excellent service each visit. I would highly recommend Sam and his guys and would not go anywhere else! Mar 24, 2016 John R.
Mar 05, 2016 Dan L.
Aug 24, 2015 Karen C.
Aug 13, 2015 Chelsea H.
Very helpful employees, they made sure that we knew everything that needed to be updated in the car. Great service! 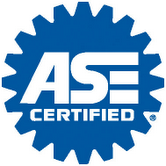 Aug 05, 2015 adam l.
Aug 04, 2015 Ron W.
Jul 30, 2015 Mike R.
I have used Top Lube center for several years and I am always happy with the service I get and the quality of products and installation. The staff is always polite and courteous and just honest with what your car(s) need. I own 3 cars and all of them go here and they make it easy to ensure all are running and performing at top notch. I appreciate all they do. Jul 17, 2015 Michael T.
Sam and his Team are outstanding. Their dedication to Customer Service and doing things the right set them apart from any others in the area. I highly recommend them, you will not be disappointed, ever. Thanks Sam!! May 07, 2015 tata b. May 05, 2015 Terry D.
The staff at Top Lube are the best at giving you first class service and a great customer experience. Mar 21, 2015 Thomas J.
Feb 26, 2015 Ken M.
I have been using Top Lube for years to take care of my oil changes needs for both my vehicles. They have always done a Quality job at a fair price. They aren't always the cheapest place in town, but you will get what you pay for. More recently, I started using them to perform other vehicle maintenance activities on my aging Grand Cherokee. I was pleasantly surprised to learn their technicians were very capable in a variety of service areas, not just oil changes. Using Top Lube for most of my automotive needs provides me a significant time savings, not having to drive around to different shops. Jan 27, 2015 Tom H.
Highly recommend as Top Lube provides top notch products and customer service. No up-selling like the clowns down the street. Just plain honest and fair!! Jan 12, 2015 John L.
I have all 5 of my family vehicles serviced at TLC and have always experienced friendly,knowledgable,honest and not too pushy to sell "product" for no good reason. Also,I'm very pro-family and prefer to support a family-owned busines. Jan 08, 2015 Peggy R.
My husband and I have always had excellent service at the Walled Lake location. Employees are all knowledgable, helpful and friendly. Sep 06, 2014 Christina H.
Great service, courteous, knowledgeable staff. Excellent work on car repairs as well as oil changes. Very fair prices. Jul 10, 2014 Lisa G.
I have been getting all of my repairs, service and oil changes with this business for over a year. They are thorough, trustworthy and kind. Mar 13, 2014 Dan L.
Dec 11, 2013 Paul T.
We took our church bus to Sam at Top Lube for service work. Sam and his team fixed more than we had asked him to do and were very reasonable in their prices, to say the least. I will encourage our members to head for Top Lube for service! Nov 13, 2013 Bob Sr. Z.
Sam and his guys are the greatest. They are helpful and will work with you. No pressure. Never had a bad experience. I have and with continue to recommend TOP LUBE CENTER. Thanks to Sam and the guys Bob Z Sr..
Nov 13, 2013 Bobby Z. The best place I have ever been. The service is great and they were more than willing to help me with any questions that I had. Everyone there is friendly and courteous. I feel really confident and comfortable when I have them service my car. I highly recommend this business. Sep 11, 2013 Susan Bradstrom . I would like to let everyone know that this Tob Lub Center is the best in the county. I have had several of my cars service by them, and they have gone beyond my expectations. This is a great place to take your car for such personal service. Everyone there does a great job to make the customer feel special. I give this Top Lube Center an A+. Jul 29, 2013 DANIEL L.
Jun 25, 2013 jody l.
Its Been a long time since I have felt comfortable with a car repair. The guys at Top Lube in commerce are the best. I know I can trust them to fix only what needs to be fixed and not sell me what I don't need. They are knowledgeable, honest and fair. Sam runs a great place. I love these guys. Jun 01, 2013 Cheyenne . Feb 14, 2013 Abbey H.
I hate getting my oil changed because I always feel pressured to buy something extra, but I love Top Lube because they never do that to me. They will tell me what my vehicle needs, but if I decline they are very respectful about it. They always go the extra mile and are quick and efficient. Sam and his team are great, and I won't get my oil changed anywhere else. Feb 10, 2013 Beth H.
I love this place! They are friendly and knowledgable, so much more than just another oil change place. I will never take my vehicles anywhere else, the customer service and attention to detail cannot be matched. Jan 04, 2013 Susan B.
Dec 06, 2012 rick H.
Nov 06, 2012 Michelle A.
I love this place. I went in for standard oil change, but knew I needed some other things, but was in a hurry. Within 15 to 20 minutes, I had oil change, tires rotated and new wiper blades and they topped off my brake fluid to make my annoying light go off : ) They were very informative, quick and friendly. I'm going back soon! Sep 15, 2012 Matt H.
Sam, the owner has been super friendly both times. His employees have been very helpful. I've gone in twice, and felt very comfortable and very welcomed. I have recommended and will continue to recommend Top Lube for anyone who needs to get their oil changed. Thank you Top Lube! Sep 02, 2012 jimmy . Top Lube Center Auto Repair Service Center is the one-stop solution for all of your auto repair needs! Whether you drive a car, truck, SUV or hybrid, we will do whatever it takes to get you back on the road quickly and affordably. There is no problem that our proven team of mechanics is not prepared to handle! Whether you are in need of major repair work or a minor fix, they will work tirelessly to ensure that you receive unbeatable auto repair service from start to finish. We service all makes & models, foreign and domestic, cars & trucks. We offer competitive prices on all your auto repair needs including; oil changes, tune ups, brake services, engine repair, transmission repair and preventive maintenance. Top Lube Center can perform wheel alignments, tire rotations, exhaust repair, suspension fabrication, transmission service, battery service, air conditioning repair and much more. Check our service list tab for an exhaustive catalog of all we have to offer! Not only are our mechanics the most skilled in the Commerce and Walled Lake, Michigan community, but they also provide a level customer service that simply cannot be matched. Our team is passionate about their work, and every member shares a wholehearted commitment to making your customer experience as pleasant as possible. The bottom line is that Top Lube Center appreciates the value of your time and money, and we run our business accordingly. From the moment you walk in, our priority will be providing your vehicle with tip-top auto care at an affordable price, and in a convenient time frame. To reward our customers, Top Lube Center's website is jam-packed with opportunities to save! Our homepage features phenomenal auto repair specials that update quarterly, so be sure to check back often. For even more savings, customers can take advantage of our eSpecial offers. Simply sign up, and every month you will be emailed an exclusive auto repair special!